Delta State Commissioner of Finance, Olorogun David Edevbie says people across Nigeria read news online more than the conventional print media according to recent statistics. 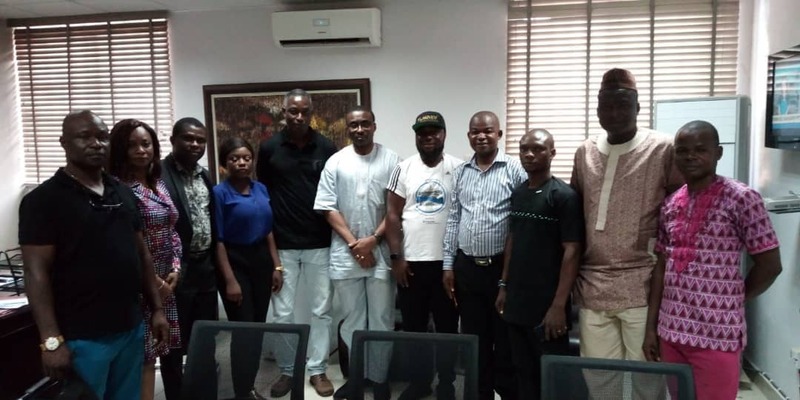 Olorogun Edevbie made the assertion Monday October 8 at Asaba when he played host to members of Online Media Practitioners Association of Nigeria, OMPAN, Delta State Chapter. According to him, newspaper circulation is going off gradually, hence people read online to get information as it breaks. While describing online news as the forerunner of Nigeria's development, the Delta State Finance Commissioner praised members of OMPAN, Delta State for their professionalism and charged them to continually report whatever they see fearlessly and not malign the government or individuals in the course of their legitimate duty. He stated that Delta State Governor, Dr. Ifeanyi Okowa has judiciously used funds accrued to the state for development for the past three years. Olorogu Edevbie commended Dr. Okowa for organizing a free, fair and credible PDP presidential primary that saw Atiku Abubakar emerging as PDP candidate to vie for the 2019 polls. Chairman of OMPAN, Delta State Chapter, Comrade Peter Legacy and the Vice Chairman, Comrade Andy Eboigbe commended the commissioner for the warm reception accorded the association and appealed for support in moving OMPAN, Delta State forward.